Painting a building seems like a simple task, but it requires a lot of care and attention in order to be done right. After all, no one wants their building to be painted in a patchy fashion, leaving splotches of unpainted, messy-looking walls. This isn’t very problematic in the case of lower buildings, but taller structures require a more dedicated approach. After all, higher elevations are much harder to reach, and doing so in a safe manner is a greater undertaking than you might think. But it’s not a problem if you let R.A.I.L. handle that for you! 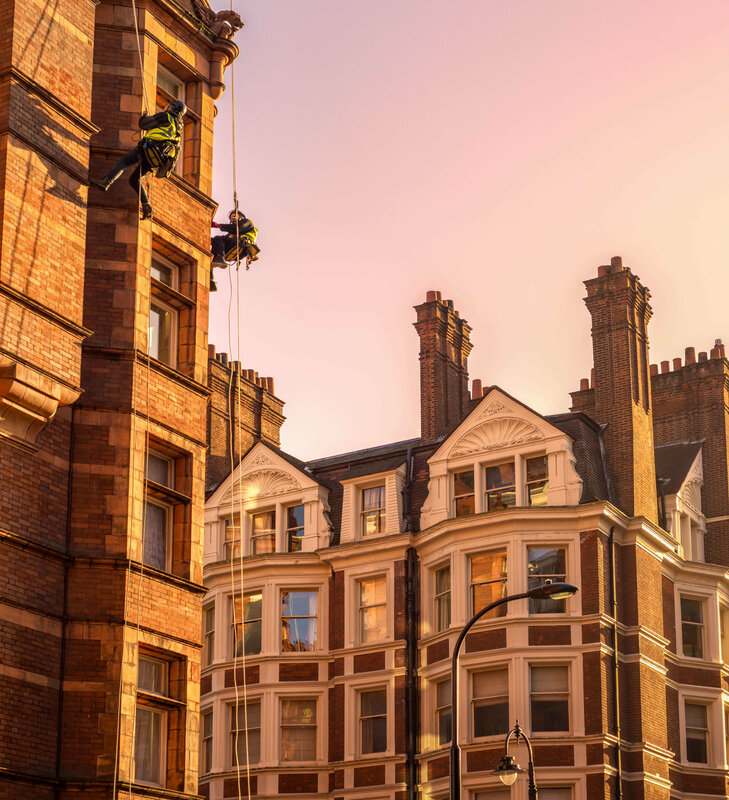 We offer the best abseiling painting services in the London area. Thanks to the great experience of our rope access professionals, we finish our projects on time and are a reputable choice among many private and commercial clients. Our technicians use no additional scaffolding in their work, therefore you can expect a high-quality, reliable service that is not only perfectly safe but also pocket-friendly, letting you save the money you’d otherwise spend on expensive scaffolding. Don’t hesitate anymore and give us a call!